Last week, there was news that the U.S. Postal Service had made a big mistake on a stamp featuring the Statue of Liberty. It turned out that the stamp was not based on a photo of the real statue in New York Harbor but on that of a replica at a Las Vegas casino. How did officials make such a ridiculous mistake? It was reported that they had selected the wrong image from a stock photo service. This is significant. If they had seen the replica in person – rather than in a photo – they would never have mistaken it for the original. Photography, which we tend to regard as a faithful representation of reality, frequently deceives us, by blurring the boundary between the original and a replica. Organized by the Department of Computer Science, University of Calgary, with support from Informatics Circle of Research Excellence iCORE and School of Computer Engineering, Nanyang Technological University, Singapore. Conference papers will be published in the proceedings printed by IEEE Computer Society. Two special journal issues by Springer: The Visual Computer and Transactions on Computational Science are confirmed. In addition, selected papers with appropriate content will be considered for two Inderscience Journals: International Journal of Arts and Technology and Journal of Biometrics. The conference runs in-cooperation with ACM SIGGRAPH and EUROGRAPHICS Association and IEEE VGTC Computer Society technical co-sponsorship has been endorsed. Cyberworlds are information worlds or communities created on cyberspace by collaborating participants either intentionally or spontaneously. As information worlds, they accumulate information regardless whether or not anyone is in, and they can be with or without 2D or 3D visual graphics appearance. The examples of such cyberworlds are communities created in different social networking services, 3D shared virtual environments, and multiplayer online games. Cyberworlds are closely related to the real world and have a serious impact on it. Cyberworlds have been created and applied in such areas as e-business, e-commerce, e-manufacturing, e-learning, e-medicine, and cultural heritage, etc. Cyberworlds augment and sometimes replace the real life and become a significant component of real economy. At Ocean Beach Hospital in Ilwaco, Wash., when arriving patients show signs of a stroke, a key member of their medical team is … a tall flat-panel screen. 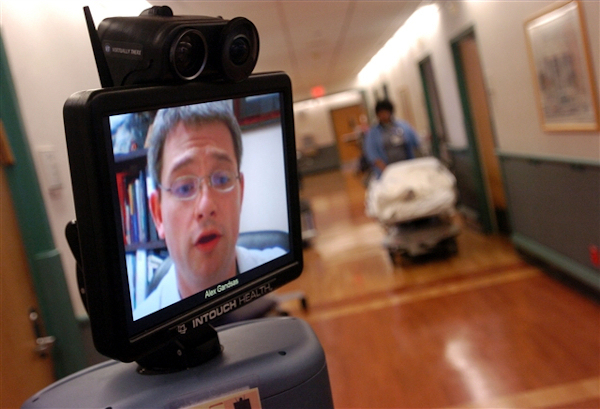 Actually, the screen is attached atop a 6-foot device, a robot that functions mostly as a mobile videoconferencing system. As if further proof were needed that New York is not the center of the universe. The United States Postal Service has issued a new stamp featuring the Statue of Liberty. 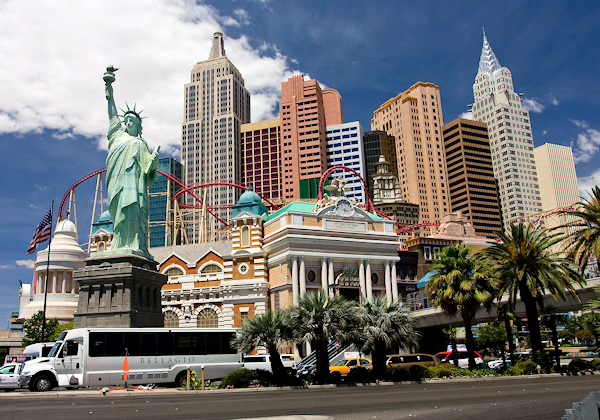 Only the statue it features is not the one in the harbor, but the replica at the New York-New York casino in Las Vegas. You might think that the post office would have just gone with the original, the one off the tip of Lower Manhattan that for 125 years has welcomed millions of New York’s huddled masses yearning to breathe free. Instead, they accidentally used the 14-year-old statue that presides over thousands of weary gamblers a week. 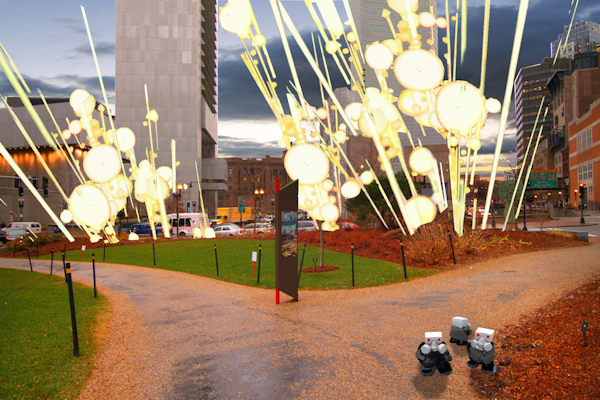 Areas of Boston will be transformed into interactive digital landscapes as a series of augmented reality artworks come to life during the Boston Cyberarts Festival, which begins April 22. With an open mind and smartphone in hand, people traveling from one area of the festival to another will look on as aliens invade the public space around them in an art project titled Occupation Forces. 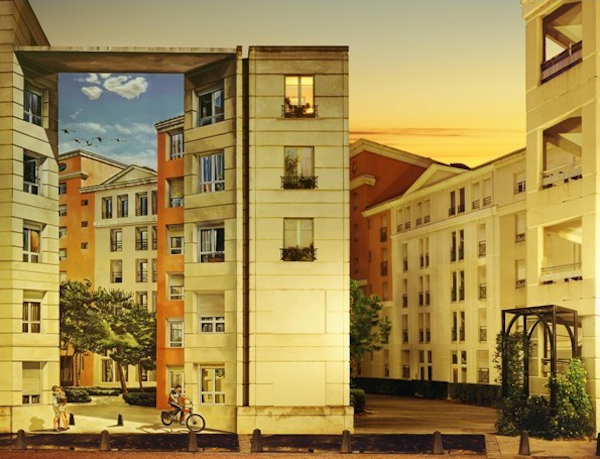 The artwork, created by Mark Skwarek, is made possible through a technology called augmented reality (AR for short). Geolocation-linked computer-generated graphics are superimposed onto the environment in real time via a specially designed augmented-reality smartphone app. As the participants view the scene on their smartphone it creates an interactive illusion that changes as they navigate through the area. “Viewers experience an unfolding narrative through time and space, transforming daily real-world existence into something visually stunning and otherworldly. The project encourages people to explore the urban environment, letting them see the world like they never have before,” explains Boston Cyberarts Festival organizers. 1. Position papers (maximum 2 pages) detailing participants work in these areas, their perspectives on the challenges, and approaches to overcoming them. 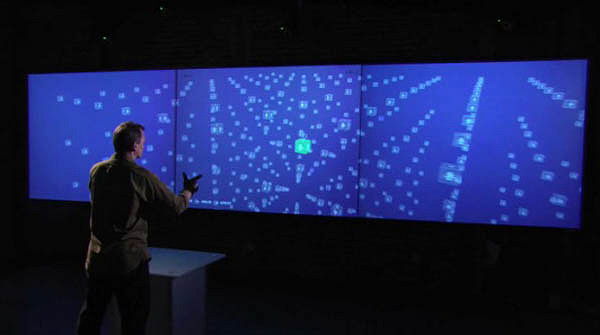 In the 2002 film Minority Report, Tom Cruise’s cop of the future made use of a mind-blowing computer interface—a holographic wall of images and data floating before him, which Cruise manipulated by donning special gloves and making sweeping gestures to call up, move, zoom, combine, and discard far more information than fits on any PC screen, far more quickly. Few moviegoers realized this wasn’t a special-effects fantasy. It was a working system called gspeak, then under development by MIT Media Lab researcher John Underkoffler. Gspeak is captivating because it departs from the old desktop metaphor and mouse (and the currently hot tap-and-swipe touch screen) to let you handle things on the computer as if they were physical objects. Public reaction to gspeak was so enthusiastic that Underkoffler was able to fund a company to turn his prototype into a real-world product. A decade later, his Oblong Industries operates out of a converted warehouse in downtown Los Angeles, where it builds high-end systems for deep-pocketed clients. He says he is picky about who he hires, because designing his product requires cross-disciplinary skills. “It works a lot better if instead of an artist and a technologist, you have people who are both,” he says.